The Certificate Backgrounds feature allows an administrator to specify which branded background or corporate identity displays on a certificate according to the user’s role in the system. Go to Site Administration>>> Plugins>>> Local Plugins>>> Certificate Backgrounds. 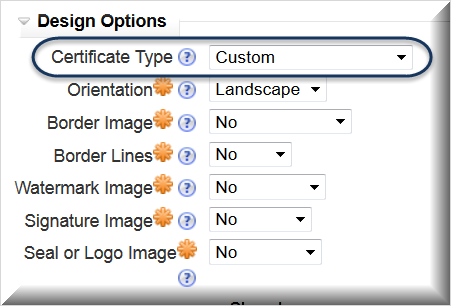 On the Certificate Backgrounds page, scroll down to the role you want to specify a particular display for. In the files box, click on Add and upload the graphic file you want to use. The image can be in .png or .jpeg format and should be 3300 by 2550 pixels in size. Click on Save changes before navigating away from the page. 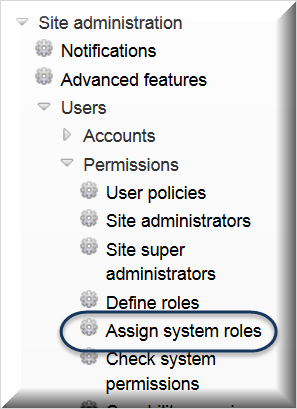 Next, ensure your users have been assigned the appropriate system role. Complete the other settings for the certificate. Click on Save and return to course. When the user meets the requirements to obtain the certificate and clicks on the certificate link, the certificate will display a background that reflects the user’s role. A user with a different system role in the same course will see a different certificate background, if it has been specified for their role.